Welcome to NECA 2013 Washington DC! The rainy weather hasn’t dampened spirits so far at the Board of Governors meeting, Energy Forum and pre-convention workshops – and especially last night’s Opening Reception at the National Building Museum! I’m Beth Margulies, NECA’s communications director, and I’ll be live-blogging all the great programs and events at NECA 2013 DC. My personal favorite so far has been the Green Energy Challenge student design competitions – the three finalists teams from Iowa State, Penn State and the University of Washington gave outstanding presentations yesterday an intimidating “Board of Directors” made up of NECA contractors and industry experts. Those jurors will evaluate the presentations and the winning team will be announced Sunday at the NECA Student Chapter Summit. Student teams were charged with creating a bid package for lighting retrofits, EV charging station installations and a renewable power source for a parking facility in their campus communities – everything from the types of lighting controls to financing options. Pretty impressive stuff, and each student team thanked their sponsoring NECA chapter and local contractors for helping them create their comprehensive presentations. 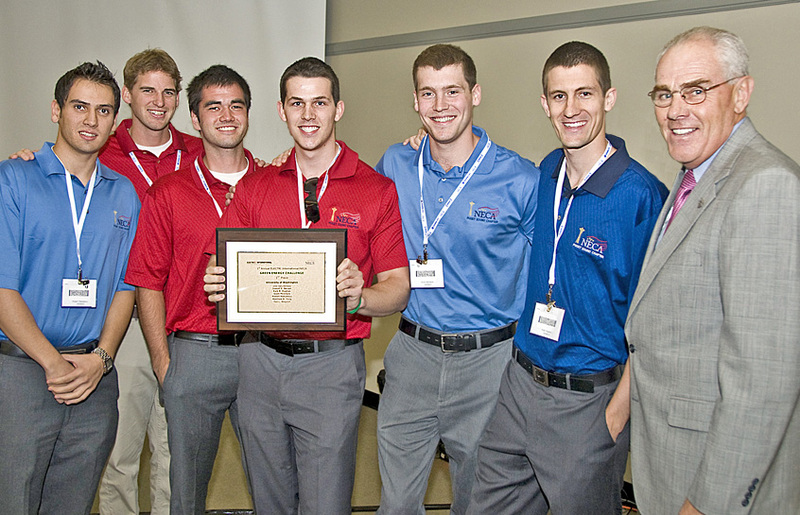 Stay tuned to find out who won this year’s Green Energy Challenge, plus recaps from the general sessions and photos and videos direct from NECA 2013 DC! Leave a comment if you have any questions or thoughts about what you see and experience. Students from Youngstown State University took top prize at the fourth annual Green Energy Challenge, sponsored by the National Electrical Contractors Association and ELECTRI International – The Foundation for Electrical Construction. Winners were announced from the four finalist teams following team project presentations at the conclusion of NECA’s Energy Forum on Saturday, Sept. 29. Youngstown came in second at last year’s competition, and the students were thrilled by their first win. The University of Washington team came in second, and Iowa State University was third. Georgia Tech came in fourth. This was the first year four teams were included in the finalists’ presentations. Christian McCuen from the University of Washington was recognized as Best Presenter. 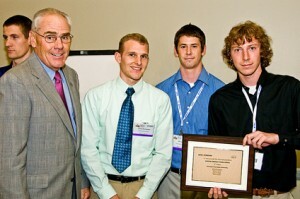 The winners were announced at the annual NECA Student Chapter Summit on Sunday, Sept. 30. 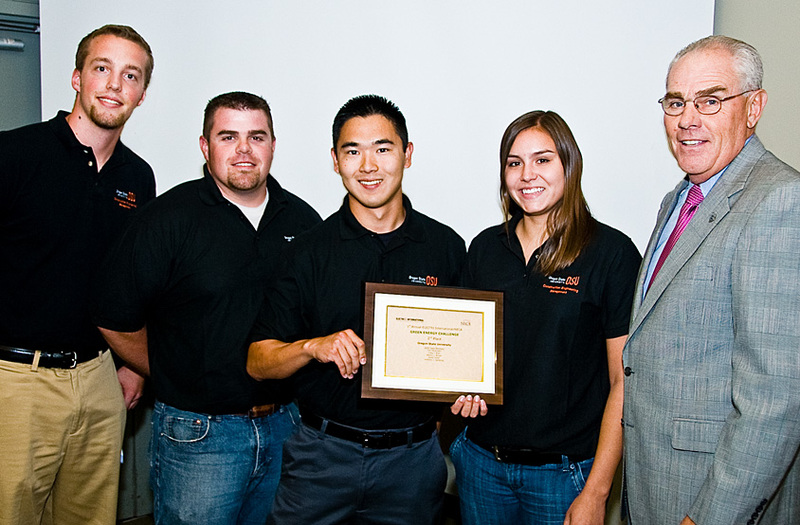 For the 2012 Challenge, teams selected a facility on their campus, conducted an energy audit of the building’s power and lighting systems, and designed and proposed a retrofit for both systems. Teams were encouraged to use NECAWORKS™ in their proposals. Finalist proposals can be viewed online. 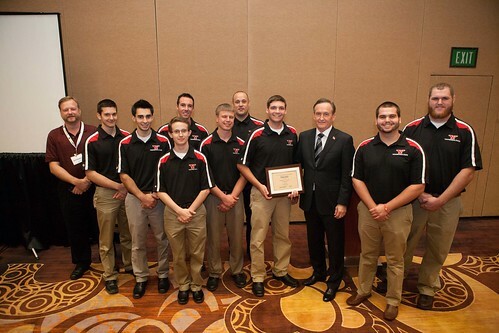 Congratulations to Youngstown State University and their NECA chapter affiliate, Mahoning Valley Chapter, NECA! NECA will kick off its 2011 Convention and Trade Show in San Diego with an all-new, one-day Energy Forum for the electrical construction industry on Saturday, Oct. 22. Jon Wellinghoff, Chairman of the Federal Energy Regulatory Commission, will open the symposium with a keynote address, followed by panel and roundtable discussions on how electrical contractors can best help their customers meet their energy needs. Making sense of the range of opportunities in green energy will be the focus of NECA’s inaugural Energy Forum. Speakers and session leaders will discuss the many ways electrical contractors can enter this market and what questions they need to ask before doing so. Is there a tool I can use to show realistic projections for energy and cost savings to customers? What types of financing are available for renewable energy projects, and how could financing be impacted by future regulations? How do we integrate renewable energy and energy efficiency to ensure reliable power? The “Weekend Package” includes the Energy Forum on Sat., Oct. 22, and all Sunday, Oct. 23 events, including the Opening General Session with General Stanley McChrystal, plus all management seminars and technical workshops, the grand opening of the NECA Show and the Showstopper Showcase, tradeshow lunch and Sunday daily prize tickets. For $100 more, weekender registrants can choose the package that also includes the Opening Reception on the USS Midway. Non-member pricing is also available; press and government employees can request complementary registration by emailing Beth Margulies,beth.margulies@necanet.org.